The following post is part of a two-part series sponsored by Yahoo! Every time someone clicks here to make Yahoo! 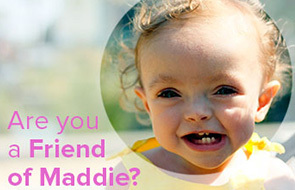 their homepage, they’re showing their support for Friends of Maddie! As you all know, Mike and I started Friends of Maddie with the money many of you donated to our family after Maddie passed away…. I have the privilege of being at the Special Olympics World Summer games. I’ve been here since the twenty fifth. Where is here? Well, it’s in Athens, Greece. Crazy, I know. I haven’t really mentioned that I’m in Greece because to me, it is so secondary to what I am here for – Special Olympics….